North Carolina neon underglow usage is governed by the state's Code. All relevant laws, rules and regulations pertaining to vehicle lighting including car underglow in North Carolina have been provided below. Make sure to examine the regulations carefully and do not use any restricted lights. Usage of neon underglow lighting is governed by North Carolina Statutes, Chapter 20: Motor Vehicles, Article 3: Motor Vehicle Act, Section 20-129 to 20-134. Is neon underglow legal in North Carolina? Never use colors blue or red. Do not display amber flashing lights. White color visible from the back of the vehicle is not permitted. NC laws do not specifically restrict all flashing lights (unlike most other states), but we strongly suggest you avoid all flashing, oscillating, or rotating lights. They can be considered a distraction to other drivers and can get you cited. Make sure you never use any blue or red colored light on your car. Blue and red are reserved for police and other emergency vehicles, and if you read the laws carefully you’ll notice even installing or possession of lights capable of displaying these colors is against the law. If your LED car underglow can change color and you get pulled over, do not tell law enforcement officers you can change color to blue or red, even if you never use it. Besides red and blue, we also recommend avoiding purple/violet and green colored underbody neon glow, as in some states these colors are also used by emergency vehicles. There are no relevant NC laws which specifically restrict or prohibit installing car underglow, meaning we consider it legal to use it while driving. Below are all relevant excerpts from North Carolina Vehicle Code that limit, restrict or allow certain aftermarket lights to be installed on vehicles. Violation of sections 20-130 is considered a Class 1 misdemeanor. Our information about car neon underglow laws in North Carolina was last updated in 2018 and checked in 2019. In case any info we provided is not up to date or correct be sure to contact us so we can revise it. Thank you! Check our data with your local law enforcement or other relevant agencies! North Carolina underglow laws in certain cities or counties may be different from state legislation. While we do our very best to provide the most accurate information about LED and neon street glow usage we will not be held liable for any potentially incorrect or misinterpreted info. North Carolina Statutes, Chapter 20: Motor Vehicles, Article 3: Motor Vehicle Act, Sections 20-129 to 20-134. North Carolina is a state in Southeastern United States. The state borders South Carolina and Georgia to the south, Tennessee to the west, Virginia to the north, and the Atlantic Ocean to the east. 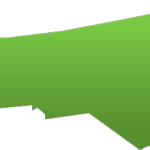 North Carolina is the 28th most extensive and the 10th most populous of the 50 United States. Have questions about traffic or neon glow laws in North Carolina?